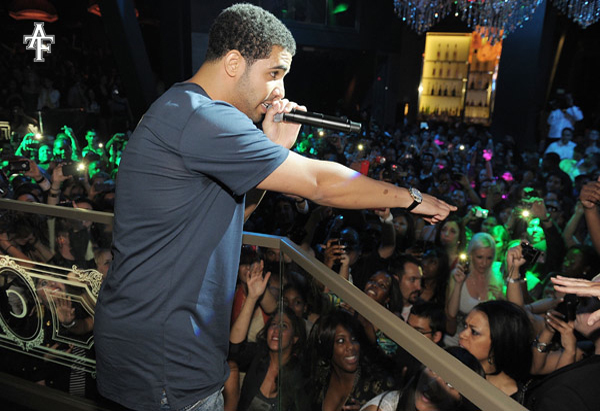 Drake Performance at The Grand Opening of Chateau Nightclub & Gardens at Paris Las Vegas. 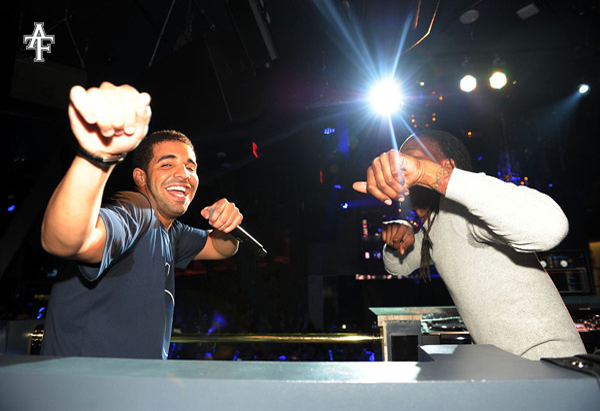 Drake caused a scene while hosting the opening weekend of Vegas’ newest hotspot Chateau Nightclub & Gardens at Paris Las Vegas. The Young Money rapper held a blue lollipop from the Sugar Factory as he walked the red carpet, later performing in a balcony for a sea of clubgoers. DJs Nick Cannon and Samantha Ronson kept the party going into the early hours of Sunday. 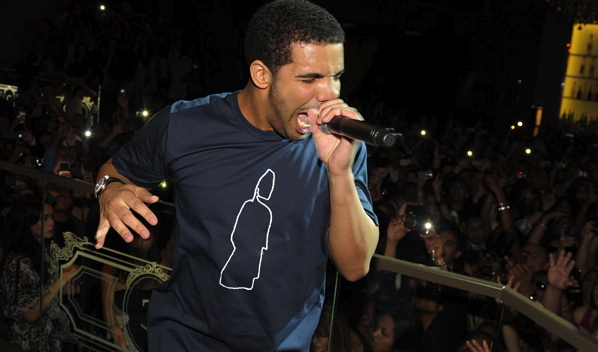 Starstruck fans stood outside the venue to get a glimpse of Drizzy, chanting his name. According to Vegas guru Robin Leach, the crowd on the sidewalk was just as large as the one that gathered the day before to see Kim Kardashian. « Floyd Mayweather's Birthday Celebration With 50 Cent at Dream Nightclub, Miami Beach.